On Sunday and Monday, June 24 and 25, 2007, the area in Vypich in Prague got filled with the army technique and tents. The Army of the Czech Republic organized the annual days for children and youth. The program was very rich. On Sunday at 2 p.m. the chief of staff of the Army of the Czech Republic Gen. Vlastimil Picek welcomed the visitors. Mrs. Bìla and the representatives of the war veterans, lead by Gen. Tomas Sedlacek, and the mayor of the Prague 6 municipality took part in the opening ceremony. 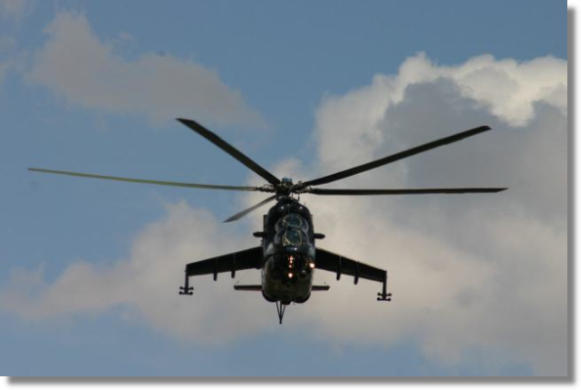 Immediately after the welcoming ceremony, the military helicopters Mi-24, W-24 and the combat helicopter Mi-171 flew over the heads of the visitors. One of them flew up to 1 000 m high and 4 parachutist jumped out to the centre of the area. After this, the visitors went to the individual working places. What could they see? The children most certainly enjoyed the detailed inspection of the helicopter, tank, infantry vehicles and self propelled howitzers. They had the chance to touch the infantry weapons, try the equipment of the infantry and firemen, anti chemical troops and pyrotechnics. On Monday, the Centipede children took part in the programme. The rock band from the elementary school Kladská in Prague had a huge success. The singers from Nemcice nad Hanou showed the typical local costumes. The small opera „Red Riding Hoot“ was a big success too. Everybody could envy the elasticity of the members of the groups Red Baby and Gold Team from Námest nad Oslavou. At the end of the first part, the dancers of Street Dance took the floor. In the afternoon, the children showed a short version of the opera „Bartered Bride“ from the 2nd elementary school in Litomysl. The cheerleaders from Lysa nad Labem made the visitors wild. Little singers and dancers from Dolni Bukovsko had a big success too. The afternoon part of the programme ended with the performance of the band „Black Magic“ from Spalene Porici. This band has been known among the Centipede children for quite a time already. After the performance of the Black Magic band, Jan Vycital and the band Bengas took the floor. Both days, the visitors could see the work of the Centipede children at the exhibition in the tent No. 3. Many people were interested in buying the Centipede products… fantastic sum of 12 408,- CZK was earned. It was sent to the Centipede account already. Mgr. Marcela Bernardova and her colleague from the elementary school in Vinohrady took organized this wonderful and successful exhibition. The weather was marvellous and everybody was sorry that these 2 wonderful days flew away so fast. We would like to thank to all the members of our Army who prepared such a rich and entertaining programme and we look forward to seeing you next year ! !